Place an oven rack in the bottom third of oven and heat oven to 200°F. When oven reaches 200°F, turn it off and keep the door closed. In a large bowl or bowl of a stand mixer fixed with paddle attachment, combine coconut milk, water, shortening, sugar, dry milk powder, yeast, egg and finely chopped coconut. Add in half the flour and all the salt and mix until just combined. Switch to dough hook and stir, adding in more of the flour slowly (or, mix dough with a wooden spoon). Continue to add more flour and increase speed to medium, kneading until dough pulls away from sides of the bowl and is smooth, elastic and slightly sticky, about 5 minutes (or, place dough on a floured surface and knead, adding more flour until dough is smooth and elastic and slightly sticky, about 10 minutes). Shape dough into a ball and place in a large, lightly greased bowl. Cover loosely with plastic wrap and let rise in a warm place until doubled, about 1 hour. 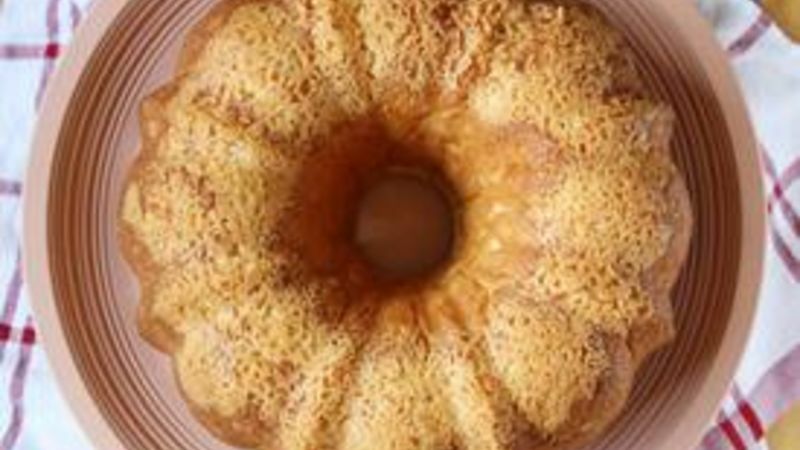 Grease the bottom and insides of a bundt pan with 1 1/2 tablespoons butter. To make the topping, combine flour, sugar, butter and coconut in a small bowl and, using your fingers, mix until it becomes a crumble. Sprinkle mixture evenly in bottom of prepared bundt pan. Melt 1/2 stick butter in a small saucepan over medium heat. Remove from heat. Divide dough into 1-inch balls. Dip each ball in melted butter, then place in bottom of bundt pan. Continue with remaining dough balls, filling empty pockets in the bundt pan. Cover pan loosely with plastic wrap and place in turned-off oven. Let dough rise to 1 to 2 inches from the top of the pan, about 45 minutes to 1 hour. Remove pan from oven and preheat oven to 350°F. Unwrap pan and bake until top is a deep golden brown, about 30 minutes. Cool in pan 5 minutes, then invert carefully onto a large plate and allow to cool slightly, about 10 minutes. Serve warm or at room temperature.